​Free entry door consultation for your Cincinnati, OH home. Sentry will enhance the appearance and quality to the entrance of your home, guaranteed. Enhance the beauty of your home with a new entry door. From the nations leading entry door manufactures, we will find the door perfect in completing the entry way of your home. We can suggest which door is right for the entry way of your home from a variety of fiberglass, wood, and steel entry doors. You will love the new look and architectural entry door to complete the look and feel of your home. Sentry installs entry doors in the Cincinnati, OH and surrounding areas. 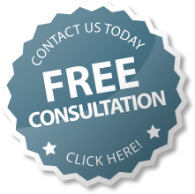 Contact us for a free consultation for your entry door needs today.